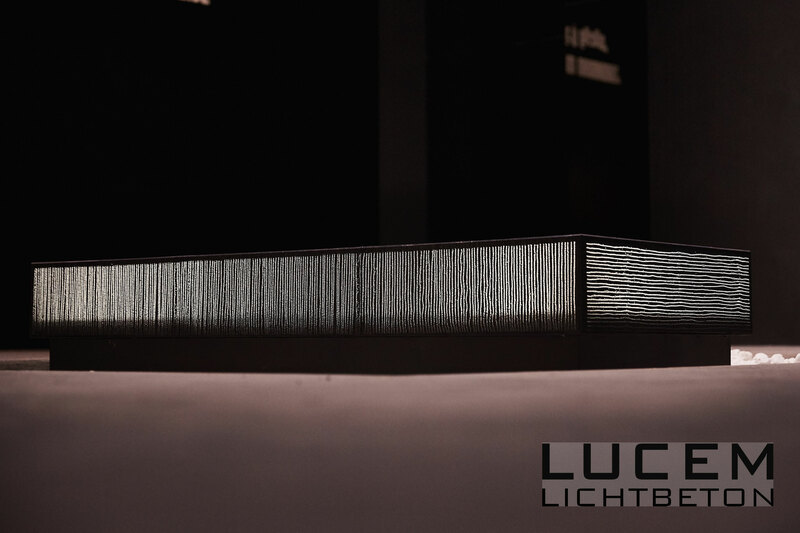 A tombstone made of LUCEM light transmitting concrete represents a classical, timeless monument, which nevertheless radiates modernity. 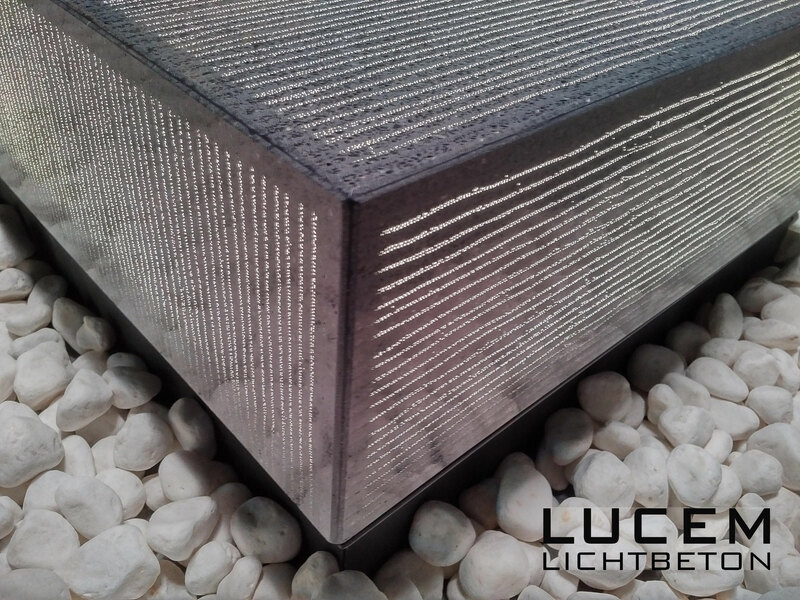 Highly elegant and impressive solutions can be realized with original LUCEM light transmitting concrete panels, for indoor as well as for outdoor use. 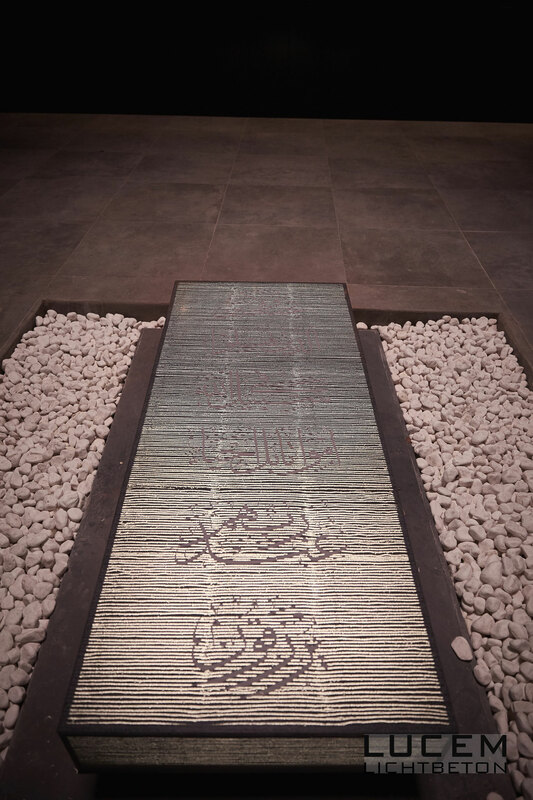 An example for this is this tombstone realized for the Royal Court of the Hashemite Kingdom of Jordan. 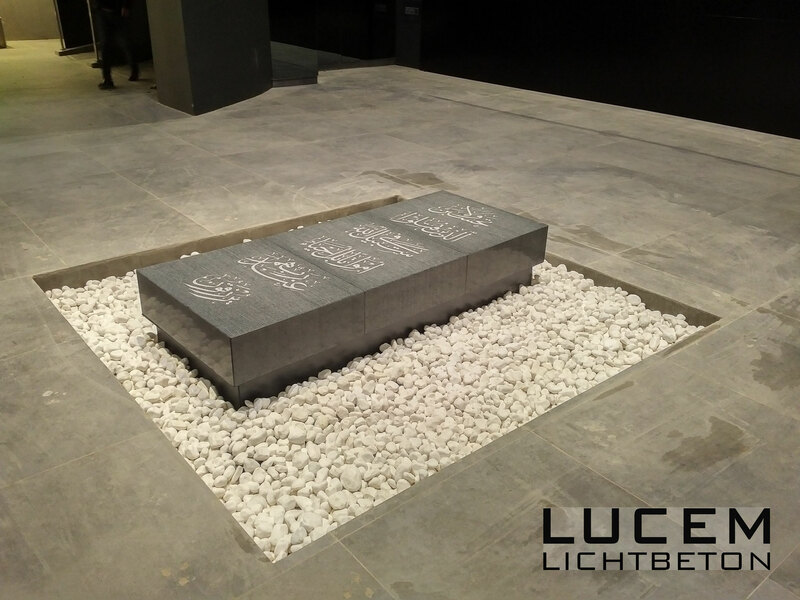 LUCEM Lichtbeton opens up innovative design possibilities for extraordinary tombstones. 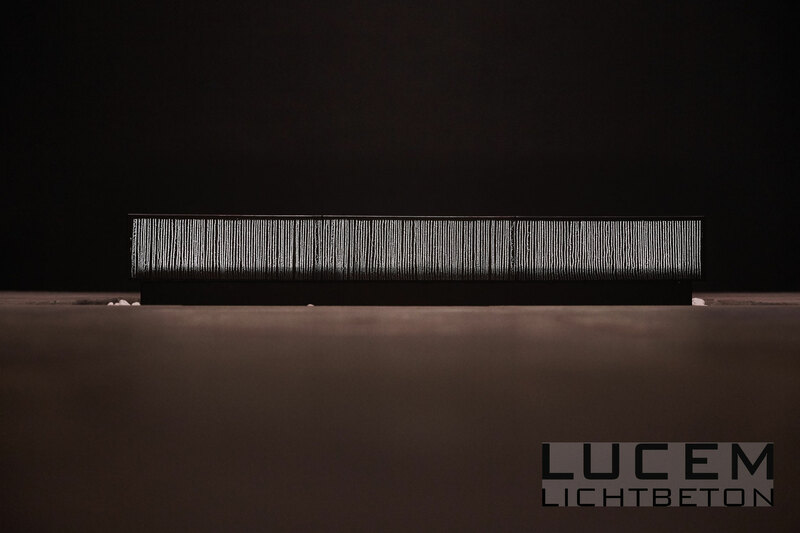 For the project, a 180 cm long and 90 cm wide tombstone has been produced. 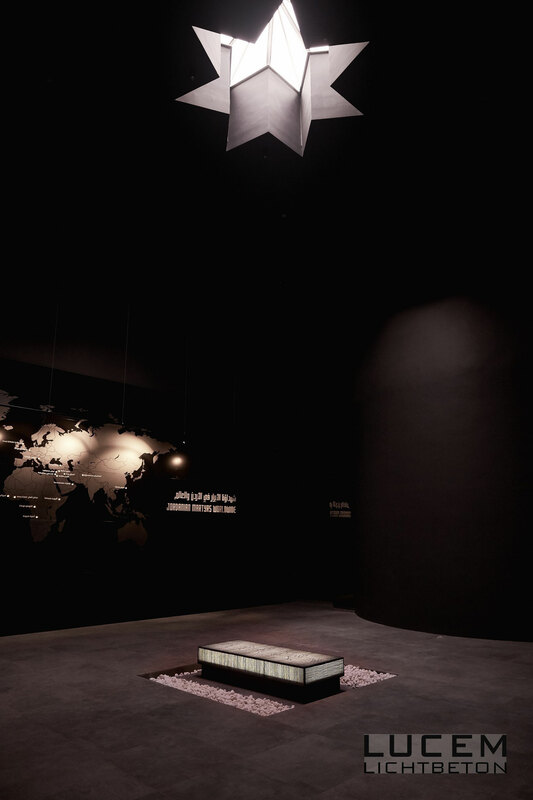 The tombstone consists of three elements, each of which has been pre-assembled in Germany with durable epoxy resin. 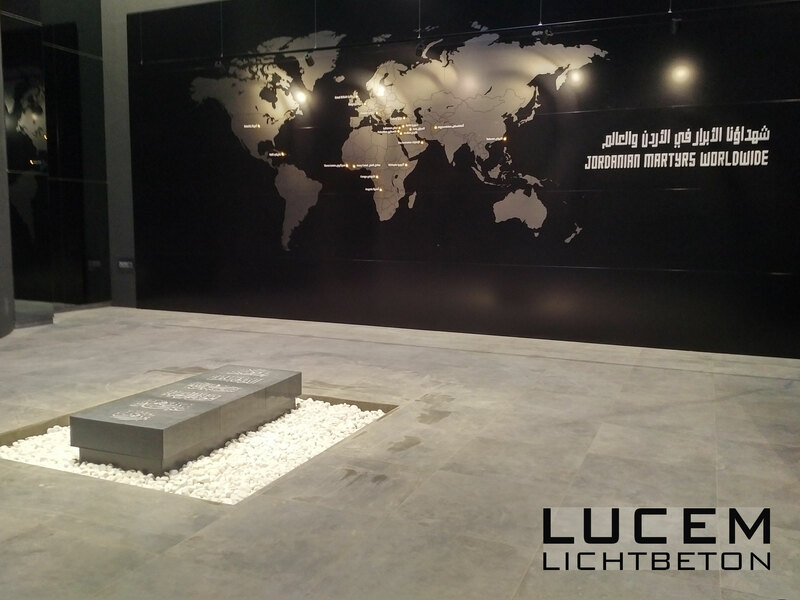 The inscription was applied with the technology of sandblasting, applied 2 mm deep into the LUCEM concrete slabs and then filled with a gloss paint. All plates were cut to 45 degree mitred joints and glued with epoxy resin permanently. 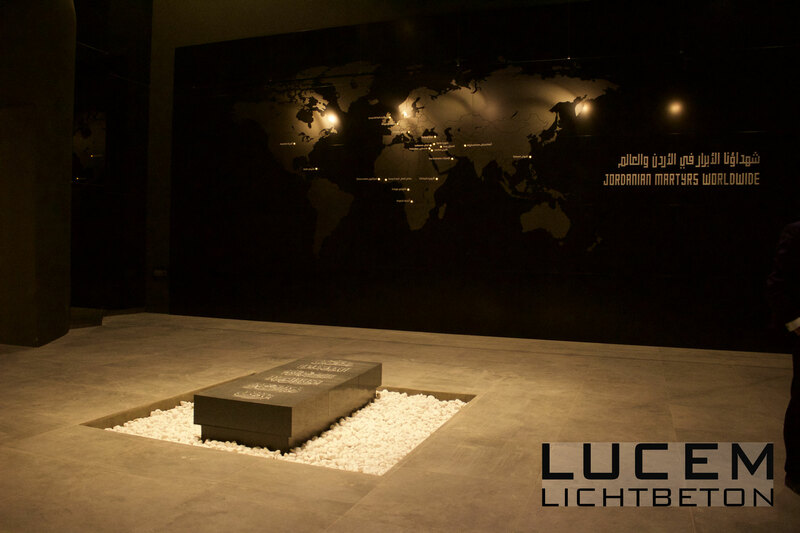 The LED light source consists of LED-boards placed in the center of the tombstone.